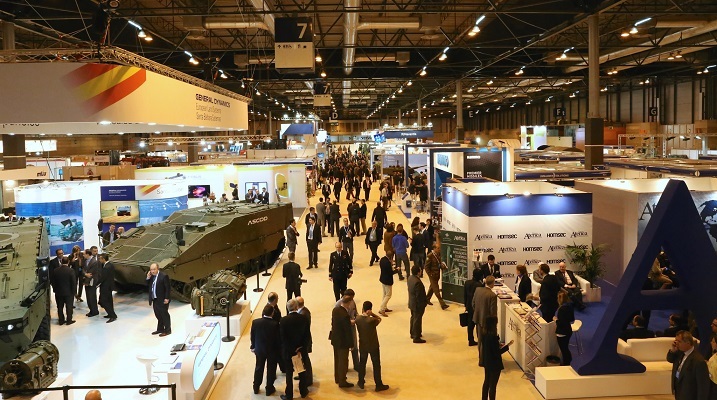 For three days in Madrid the crème de la crème of Spanish industry enjoyed their own arms show. Though bereft of the usual pomp and flair associated with DSEi or Eurosatory, the 6th International Exhibition for Security & Defense Technologies or HOMSEC 2017 was an important gathering in its own right. After all, the scale of participation offered a glimpse into Spain’s role in the broader European defense landscape. 21st Century Asian Arms Race is a media partner for HOMSEC 2017. Organized by Grupo Atenea and lasting from March 14 to 16, HOMSEC 2017 brought together private enterprise and the national armed forces for an event promoting homeland security and its tools. This is the sixth installment of HOMSEC, which is held every two years, and total exhibitors for 2017 numbered 195. The home court advantage allowed Spanish firms and their products to shine in the absence of the familiar French and German heavyweights. The once vaunted local arms industry is now gone, anyway, since these firms have either closed shop or were swallowed up by acquisitions. What replaced them are a collection of medium-sized enterprises specializing in either services or equipment. Surveying HOMSEC 2017’s modest exhibitor list reveals companies who provide the minutiae of modern warfare and security. These span such quotidian fields as ammunition, aeronautics, border protection, engineering, food, humanitarian aid, software and simulation, surveillance, and vehicles. The activities in HOMSEC 2017 did reflect current trends found in most arms shows today–the primacy of automation, data software and geomapping, portable unmanned vehicles, surveillance systems, and dual-use technology. A busy conference agenda was also readied for the duration of HOMSEC 2017. More than 40 speakers were scheduled to hold short seminars on a variety of topics. Grupo Atenea hasn’t released its post-show figures yet. But the previous HOMSEC in 2015 can give a few helpful benchmarks. In 2015 nearly 13,000 people attended the exhibition, including group visits from 25 countries. Exhibitors hailed from 15 countries and 1,600 guests participated in the scheduled conferences and business presentations. Two upcoming arms shows were advertised for the duration of HOMSEC 2017. These are the upcoming ISDEF in Israel and Expodefensa in Colombia.